Contains SCA, a natural active ingredient that stimulates healing and skin regeneration. Specially indicated for use over wide areas of skin, and for the daily care of sensitive, damaged or dry skin. Extremely gentle and quickly absorbed texture. Apply once or twice daily on perfectly clean skin. A-Derma Exomega Control Crema Emoliente 400 ml. + Exomega Gel-Champú 500 ml. 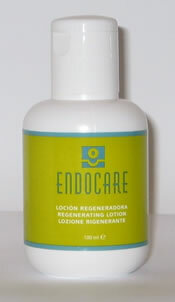 Endocare Tensage Cream 30 ml. Thiomucase Anti-Cellulite Stick 4 x 75 ml.